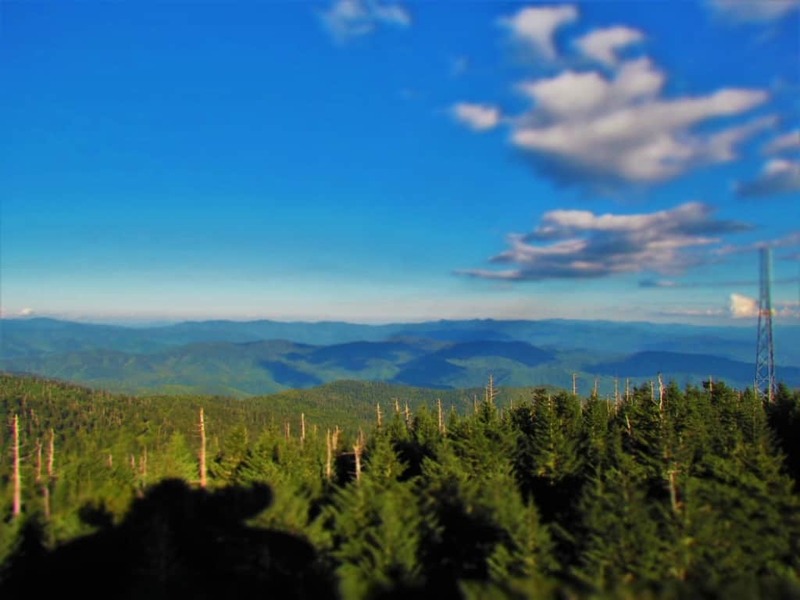 The Smoky Mountains are an area that has been on our travel radar for years. We have made visits to the Rocky and Ozark ranges, but the Appalachians have always been another trip away. When we finally made our way there, we wanted to be sure to experience as much as possible. 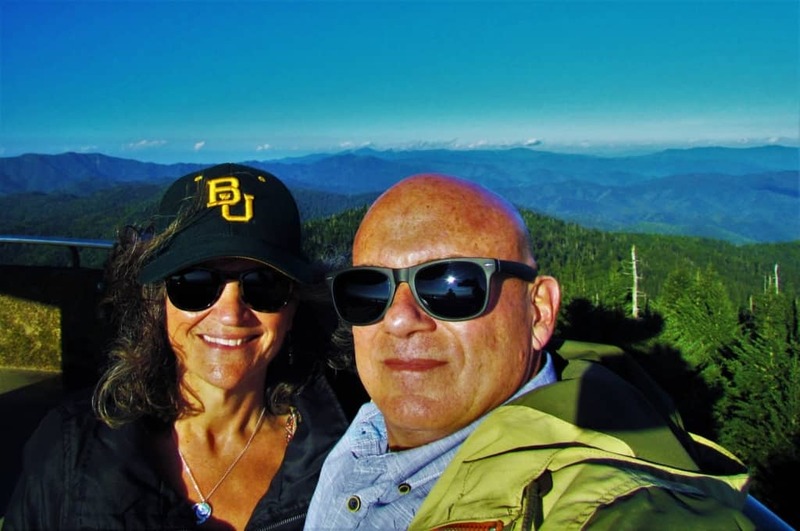 Using Gatlinburg for a home base, we had multiple excursions planned inside the national park. 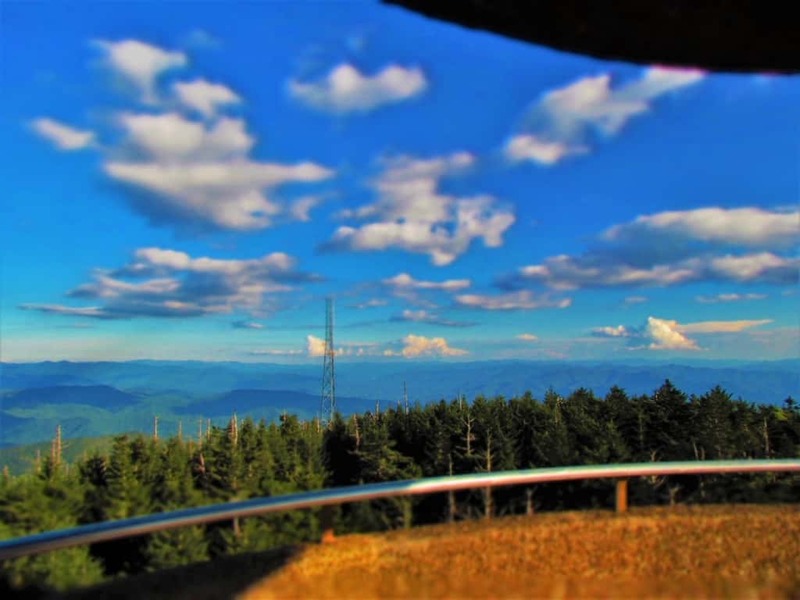 Climbing Clingmans Dome was one of those visits. 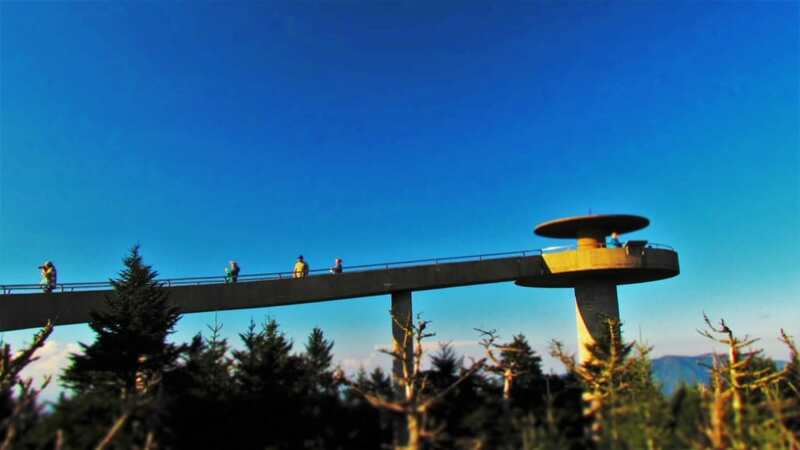 At a height of 6,643 feet, Clingmans Dome is the highest peak along the Appalachian Trail. It also happens to be the highest point in Tennessee. After driving the seven-mile access road, we came to the start of the trail. With another 300 feet of elevation to gain, we knew it would be quite a hike. A stream of visitors were headed up in front of us, with some obviously being accomplished hikers. The trail upwards is paved, so the half mile hike wasn’t rugged. There are a few resting stops along the way, which were found handy by quite a few of the visitors. As we were climbing Clingmans Dome, the parking lot was becoming just a speck below us. Once we reached the top of the trail, we came to the long- spiral ramp that leads to the observation platform. The ramp adds another 375 feet to the hike, but definitely beats a steep staircase. As we made our way up, we began seeing the landscape from a new perspective. The trees had towered over us during our hike. Now we began gaining altitude on them. The change allowed us to observe the various levels of the canopy. Built in the post World War II era, this platform was designed to accommodate the growing crowds of tourists. 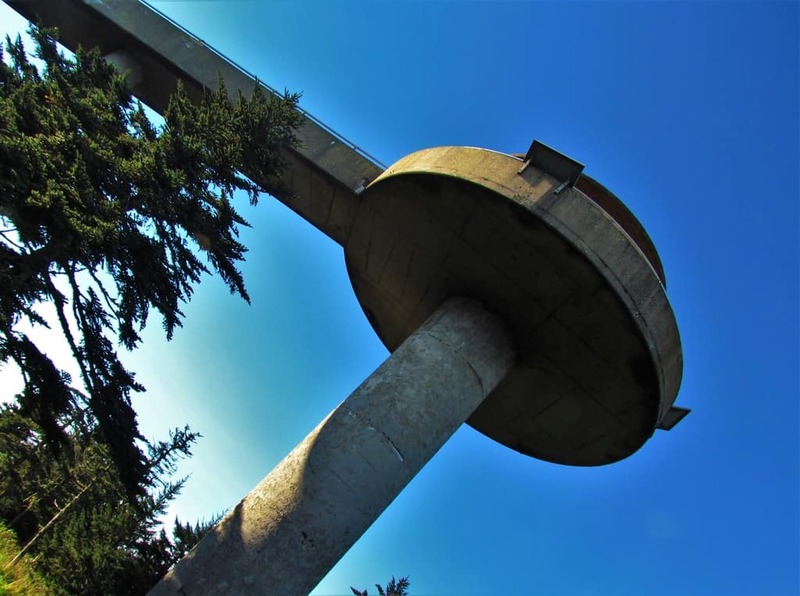 The tower design allows 360 degree views of the surrounding horizon. Construction was completed in the fall of 1959, at a cost of $57,000. With our climb completed, we now looked forward to some resting time. We knew the way down would be easier, but our legs were pleased to end their climb. Our Gatlinburg trip had started by dealing with the remnants of Hurricane Florence, that had moved inland. We jostled our itinerary around, so that our indoor visits took place on the wetter days. 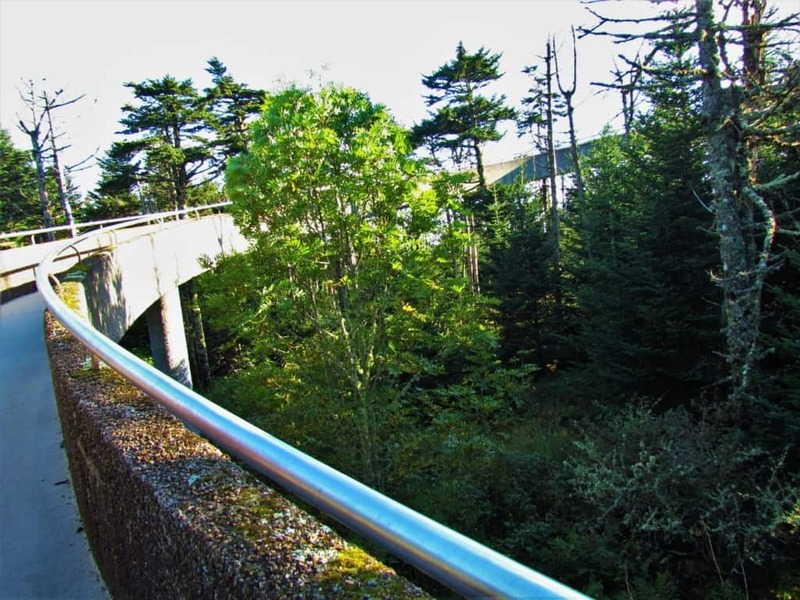 Earlier in the week we had passed by the road to Clingmans Dome, as we headed to North Carolina to visit the Cherokee Indian Museum. (You can read about that visit here.) By waiting, we ended up with perfect weather and amazing visibility. There are a few placards along the edge of the platform, which tell visitors what they are seeing on the horizon. It is said that during overcast weather the views may be as low as 20 miles. On the clearest days, visitors will have a chance to see up to 100 miles away. This allows for views of seven states. While it’s hard to say exactly how far we were seeing, it was obvious that waiting for our visit was the right move. Once on the platform I had been completely engrossed with capturing images of the landscape. As the crowd thinned, I noticed Crystal was spending her time near the center of the platform. I suggested she come closer to the edge, and at that time we had an aha moment. After 37 years of marriage, there are still things we discover about each other. I knew she had a fear of heights, but didn’t figure that it would apply to an area with a wall and railing. When I suggested a selfie along the wall, it threw her into a panic. We solved it by having her keep her eyes set on me, as I moved us closer to the side. It was a reminder of how much we trust in each other. With our time on top complete, we made the hike back down to our car. Passing new climbers, it was our turn to give words of encouragement to those contemplating their decision to continue. We made the drive back down the mountain toward Gatlinburg. On our first drive thru the park, we spotted a black bear scampering across the road. Crystal was absolutely ecstatic about it, and even recorded a video for our Instagram feed. This day, we turned a curve and spotted a mother and two cubs near a roadside pull off. I pulled in and we watched them for quite a while. The experience was a cherry on top of the great day we were having. It inspired a second “bear video”, which ended up in our Instagram feed again. I’ll add a link to our Instagram account, but you will have to scroll over to the Smoky Mtn reel to watch her reaction. The highlight reels are the smaller circles above our posts. We have a reel for most of the cities we have visited, so be sure to check out some of the others. (Here’s a link to our Instagram.) How many of you have seen a wild bear this close? Share with your adventure loving friends! 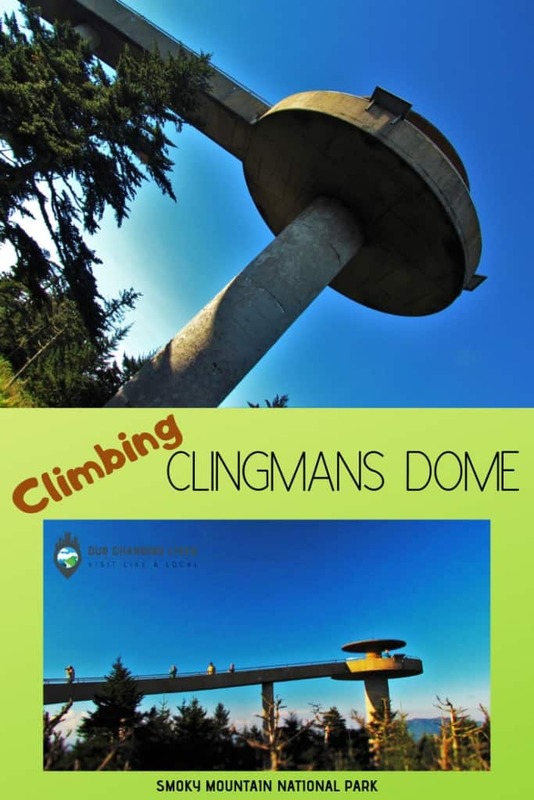 We saw bears in the Great Smokey Mountains but Christmas chickened out on climbing Clingmab’s Dome. Didn’t know it is so diable either that road and platform!!! 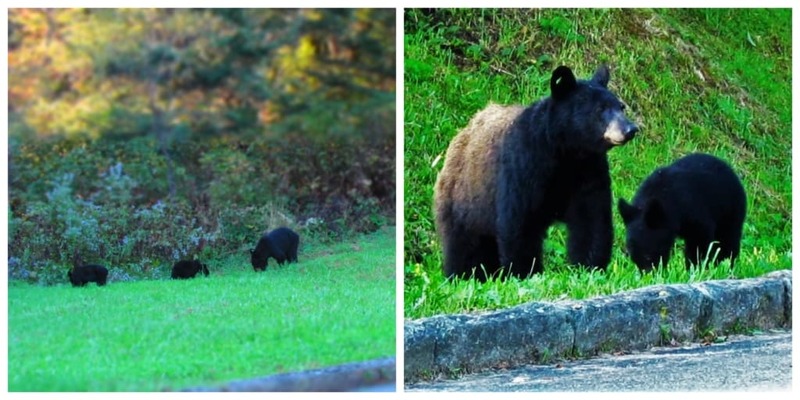 So glad you got to witness the furry friends of the Smokies. It really helps us bond with nature when we have one of these special moments. We certainly hope this is the year. Travel safely!